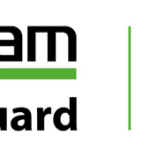 Looking to get VMware certified? 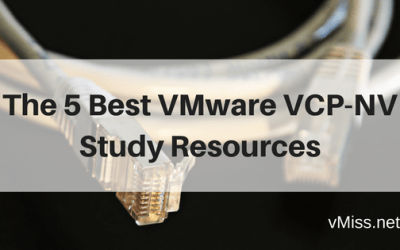 The guides to VMware Certification you need are right here! The Simple Guide to VMware Certification covers the complete VMware certification path, and all VMware certification Tracks. The Complete Guide to VMware VCP Certification gives you everything you need to get started with the first certification on the VMware certification path. 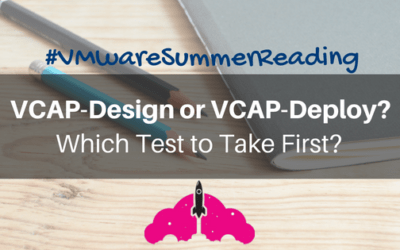 VCAP-Design and VCAP-Deploy are two of the advanced level VMware certifications. Read more about what they entail, and how they differ from some of the certification exams you may be used to. My VCDX Launchpad has some great reading if you are thinking about taking on the VCDX journey.